Islamist militants linked to Al Qaeda stormed the government building in Idlib, northern Syria, on Monday and opened up a new front in a city that has been controlled by President Bashar al-Assad's forces for more than a year, both sides said. State television said the Nusra Front militants infiltrated Idlib at dawn and were contronted by troops and pro-government militias. The Nusra Front said its fighters killed dozens, including officers, in the attack. In 2012, other rebel groups, including the Western-backed Free Syrian Army, briefly took control of parts of Idlib but were pushed out by the army. Assad, fighting an array of insurgent groups, has lost much of north and east Syria but has secured a stretch of land from the capital Damascus in the southwest up toward Aleppo in the northwest. In the past three months, the Nusra Front has made gains in these areas, in the southern provinces of Deraa and Quneitra, and now in northwest Idlib province. Referring to Monday's fighting, the front said on its social media account that its forces cut the supply route to Idlib city as well as sezing the governorate building. They also seized two tanks and captured 12 soldiers. 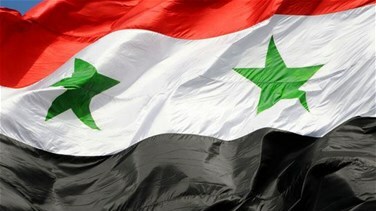 Syria is now beset by multiple conflicts since an uprising against Assad's rule broke out in March 2011. A U.S.-led coalition is bombing Islamic State, a splinter al Qaeda group that has fought both Assad, the Nusra Front, Syrian Kurds and Sunni tribes. The British-based Syrian Observatory for Human Rights, which monitors violence in Syria, said the Syrian air force had carried out 600 air strikes, including barrel bomb drops from helicopters, during the past week. About 180 civilians, including more than 50 children, were killed in the attacks, it said. Turkey mounted security on the Syrian border as the sound of jets above Kobani could be heard on Monday (October 27) after Islamic State militants trying to seize a border post on the Turkish frontier overnight were repulsed by Kurdish fighters. Islamic State fighters have been trying to capture Kobani, known as Ayn al-Arab in Arabic, for over a month, pressing their assault despite U.S.-led air strikes on their positions and the deaths of hundreds of their fighters. The British-based Syrian Observatory for Human Rights, which monitors violence in Syria's three-and-a-half-year-old conflict, said on Sunday (October 26) it had confirmed that 815 people had been killed in the fighting for the town over the last 40 days, more than half of them Islamic State fighters. To lose the border gate, the only official way for the Kurdish fighters in Kobani to cross into Turkey, would be a major blow to the fighters defending the town as well as the civilians who still remain.